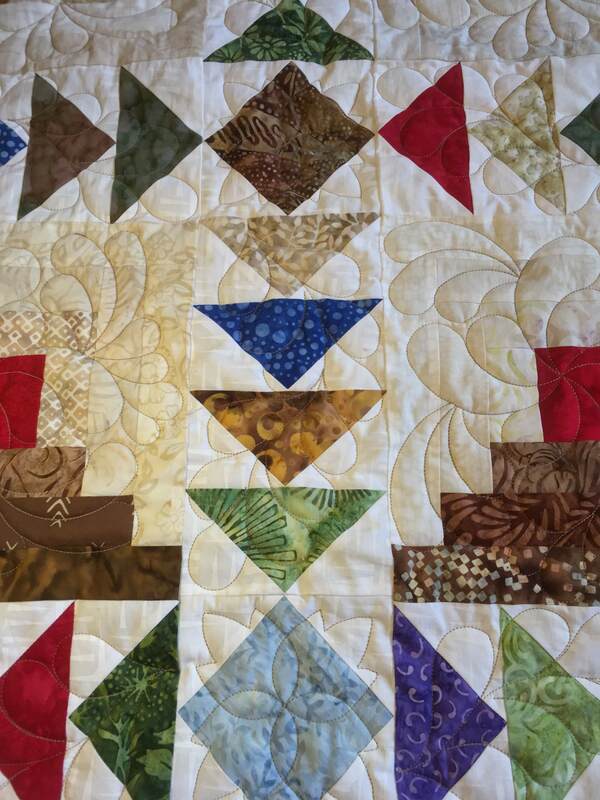 Our guild members enjoy creating raffle quilts. 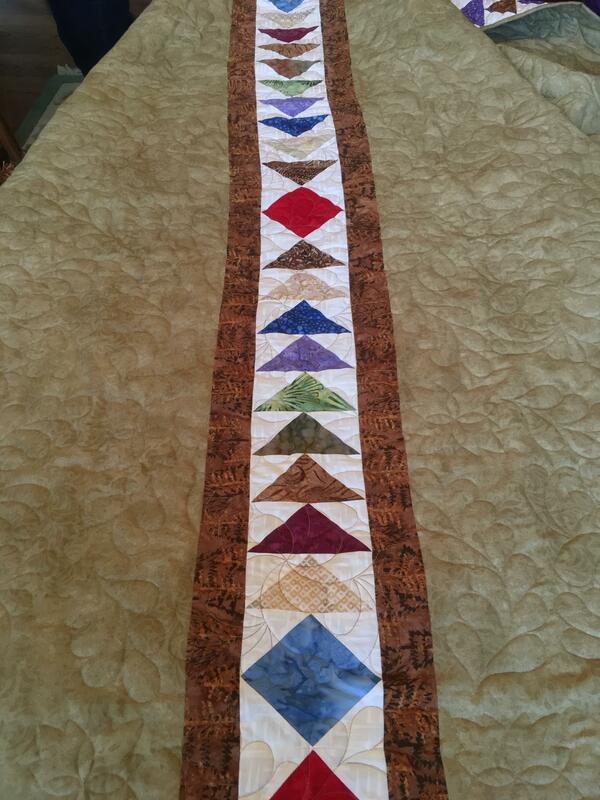 Members contribute blocks to collaboratively create a beautiful quilt. Raffle tickets are sold to raise funds to support guild programs and charities. Learn more about where your money goes when you support our guild. 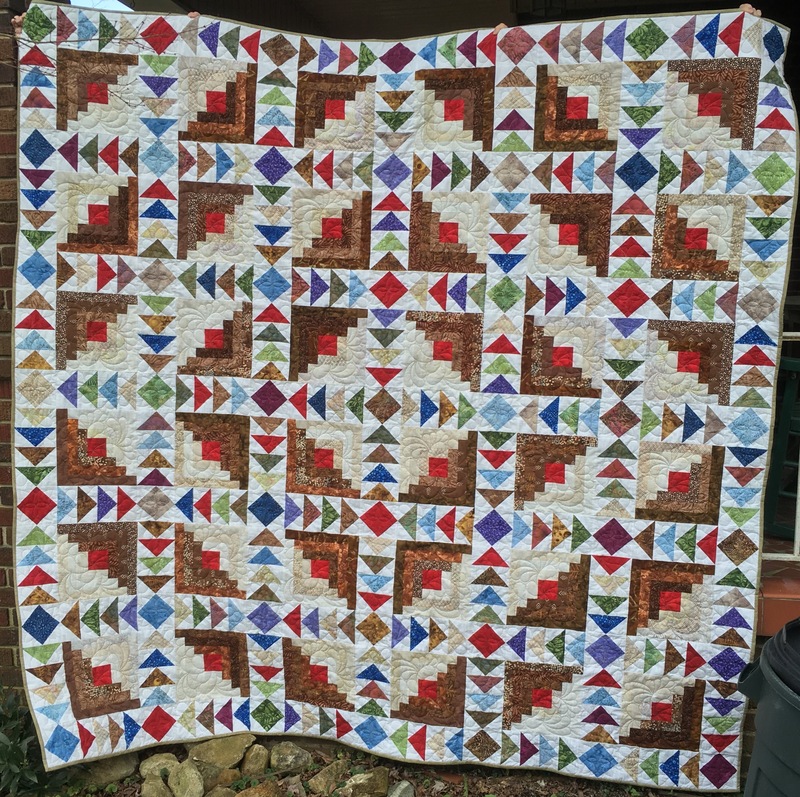 Geese at the Cabin is a design by Cathy Wessel called Geese at the Cabin which consists of flying geese and square-within-a-square sashing around log cabin blocks, all created by guild members. 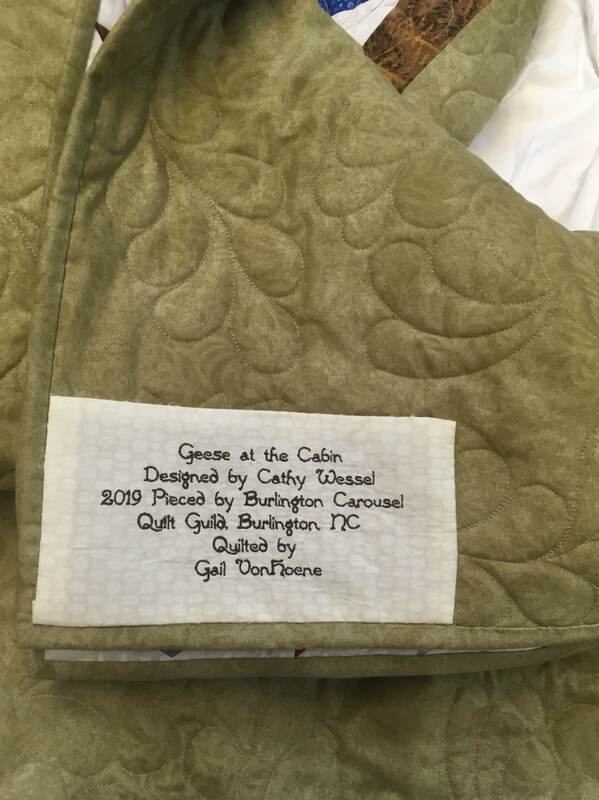 Other guild members did the beautiful custom machine quilting (Gail Von Hoene of Stitch Meisters) and created the label (Ann Acquilano). The quilt was completed in March of 2019. The drawing for the winning ticket will take place at the 2020 Uncle Eli’s Quilting Party on April 2, 2020. 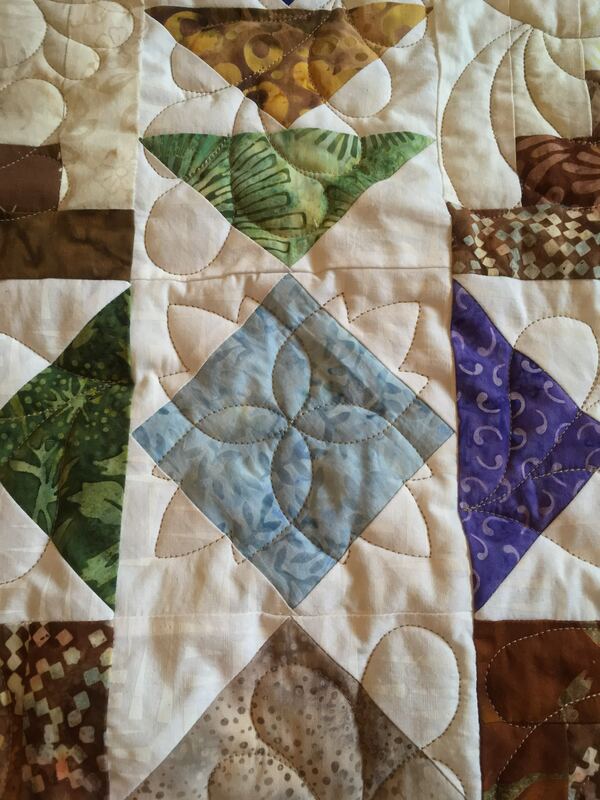 During the year, you will have opportunities to see the quilt in person and/or buy tickets for a chance to win it. We will be at the following locations for sure. Check back for an updated list. Click on any photo below to display a larger image or to see a slide show. 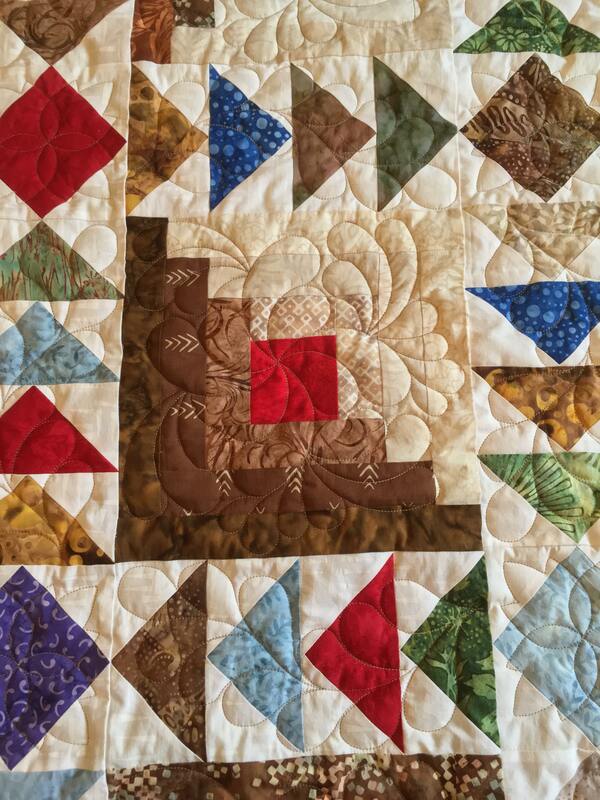 You can also check out the stories of our past raffle quilts.